It’s no secret that Nintendo’s 3DS is on its way out. It’s getting up there in years, and, with the overwhelming success of the Switch, there isn’t much reason to keep the 3DS around at this point (a fact which still stings a little bit, if I’m being honest). However, despite it being on its last leg, the 3DS isn’t down for the count just yet. There are still developers out there, developers like ATLUS, determined to make sure that 3DS fans get to have one last hurrah (or a few, with the way they’re going), and I honestly couldn’t think of a better contemporary example of a series “gracefully bowing out” from the 3DS than with Etrian Odyssey Nexus. Nexus knows what it is — it’s the last Etrian Odyssey game that the 3DS will ever see. Is this a big deal? Well, honestly, yeah. The entirety of the series has never left the DS family of systems, and staying there isn’t possible anymore. So, they did what anyone would do in a situation like this — they went out with a bang. Although it’s most definitely a “goodbye”, Nexus isn’t attempting to draw out sorrow from its players, though. Instead, it’s proudly shouting “look at everything this series has done!” in a manner so excited that it’s hard not to get drawn into the hype — a defining characteristic that, very fortunately, permeates throughout the entirety of the game. 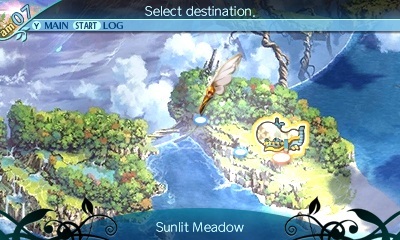 Not one to abandon tradition at the very end of its current life-cycle, Nexus begins in the same way that all mainline Etrian Odyssey titles do — with the player wandering into a new location, eager to begin their new life as an adventurer by attempting to explore one of the mythical Yggdrasil Trees scattered throughout the world. This time around, that location just so happens to be Maginia — an unfathomably large, flying city, capable of traveling great distances. Things are a little different this time around, though. You see, the Yggdrasil Tree that you, or rather Maginia’s ruler, Princess Persephone, are after isn’t residing within the city. Rather, it’s smack-dab in the middle of Lemuria — a floating archipelago that people normally can’t get to (for pretty obvious reasons). Thus, with little more than the clothes on your back, courage in your heart, and a giant, floating city under your feet, you make your way to Lemuria in hopes of uncovering the secrets hidden within. Not surprisingly, Nexus is much more about substance than it is style. The game, of course, does have a main story, but most of its narrative progression is made during the actual gameplay. Throughout their exploration of Lemuria’s many dungeons, players will encounter a number of different characters — both new and returning. Naturally, each of these characters has their own reasons for exploring this brave new world, with the player learning about said reasons as they explore together. While this manner of storytelling isn’t great for a narrative that wants be expansive, expansive narratives are never what mainline Etrian Odyssey games have never been about. There’s just enough story to remind you that you’re doing what you’re doing for a reason, but never so much that it overshadows the dungeon crawling goodness — a balance that Nexus hits just right. Exploration is just as fun as ever! 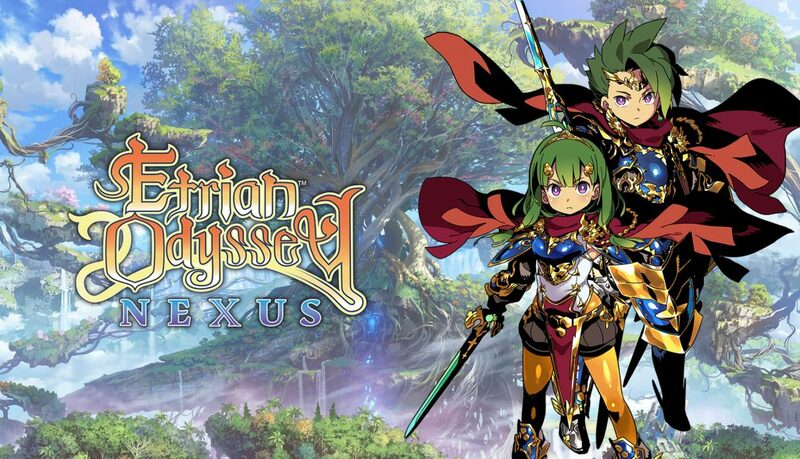 With Etrian Odyssey Nexus being a crossover and all (it’s literally Etrian Odyssey “Cross” in Japan), you might expect it to be little more than a collection of updated Etrian Odyssey mechanics thrown into a single, new-and-improved title. And do you know what? That’s a pretty fair guess, because that’s basically what this game is — but that doesn’t mean that it isn’t without new mechanics at all! Although very much still a traditional EO dungeon crawler, Nexus does certain things a little differently. You know that whole “single dungeon split into multiple stratums” thing that every single Etrian Odyssey game barring EOIV has done? 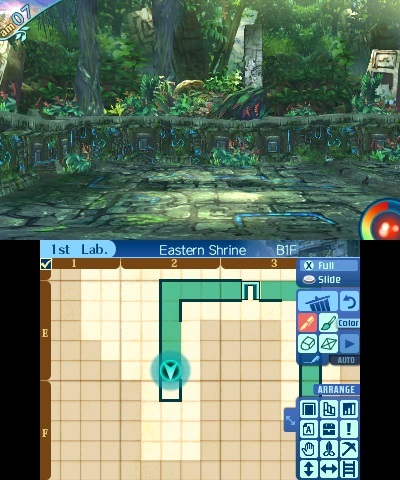 Yeah, well, that’s gone, and in its place is a world map Yes, that’s right, Nexus marks Etrian Odyssey‘s first-ever venture into the territory of world maps (which is a really weird sentence, now that I think about it). Don’t think that’s a big deal? Well, think again. Working in a way that’s most comparable to (but definitely not the same as) Etrian Odyssey IV‘s overworld, Nexus foregoes confining the players to a single city, instead allowing them to choose their location on the world map. In many ways, this does function similarly to how stratums did in the past. These dungeons, called “labyrinths”, are set up so that they must be completed in a certain order. In terms of actual layout things basically work in the same way that they always have, with each labyrinth excursion tasking players to fight hordes of monsters, collect from gathering points, and manually map things out (although a more robust auto-mapping feature is available for those who want it) as they travel, and, ultimately, defeat the boss at the end. Never wanting to shy away from its reputation for being tough, Nexus has done its best to make the labyrinths themselves as challenging as possible as well. Rather than just letting players meander around, Nexus‘ dungeons (not surprisingly) are filled with traps to watch out for, unique mechanics to make use of, and, of course, F.O.E.s to flee in terror from the second you see them (unless you’re particularly confident that you can kill them). On top of that, Nexus infuses a new element into most of its dungeons as well — nostalgia. Although I can assure you that each of this game’s dungeons is unique in its design, their aesthetics aren’t as much so. Many of this game’s dungeons are inspired by past EO games, meaning that you’ll find plenty of familiar landscapes (or their tilesets, at least), enemies, and music. It’s great, trust me. I don’t think that a world map has ever surprised me as much as this one did. Now, let’s take a look at what’s different. Being a world map and all, Nexus it isn’t entirely linear (just mostly). While the main goal of the game is to get through each of the labyrinths, they aren’t the only places that you can go this time around. Dungeons known as “mazes” also make their debut in this game. Unlike with labyrinths, mazes need to be unlocked — with the unlock conditions differing based upon the mazes themselves. Mazes also differ in layout. The biggest difference? Well, it’s in their name. While normal labyrinths are already maze-like in their own right, most mazes go out of their way to make things extra-tricky. Fortunately, mazes are quite a bit smaller than their labyrinth counterparts, but that certainly doesn’t make them any less deadly. Finally, the world map also features special gathering points. Unlocking when their corresponding dungeons are cleared, these gathering points allow players to easily collect a handful of random materials, whose contents are based upon whichever dungeon they are related to. Typically, what you gather from these areas isn’t much, but with a game like this, you really can’t complain when you’re handed something that literally spits out free loot — just be prepared to protect them when a F.O.E. tries to claim them as their own! All-in-all the world map is a little jarring at first, but it isn’t bad by any means. Despite it taking away some of the inherent “Etrian Odyssey-ness” that comes with the typical stratum-based layout, Nexus‘ world map is a refreshing, and quite welcome, addition. Never forget to add those finishing touches! 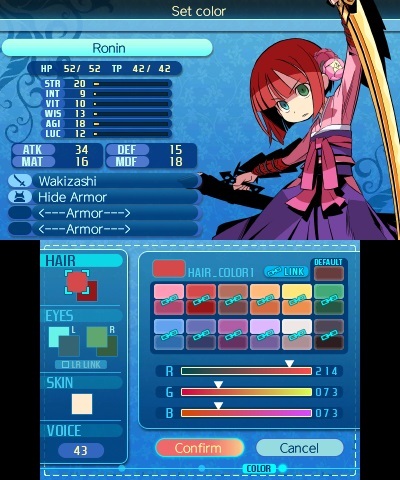 Etrian Odyssey has always delivered when it comes to party and character customization, but even by those standards Nexus is a doozy. Dropping the race-based classes of EOV and returning to its Earthlian roots, Nexus has a whopping 19 different character classes from players to choose from (plus the ability to sub-class later on!). Truthfully, this bombshell alone could potentially be enough to fill this entire review, but for sanity’s sake, I’ll try to keep it brief. As those of you familiar with the series know, EO‘s classes aren’t exactly what you’d call “traditional”. Each featuring a menagerie of powerful, strange, and to the untrained eye, misplaced skills, it takes dedication to truly figure out how each class works, and how best to implement said class into your party. And, with 19 classes to use, you’ll be doing a lot of figuring. But that’s all part of the fun, honestly. There’s no denying the trial-and-error approach that this game takes, but figuring out what works — or, even better, figuring out to make things work — is immensely satisfying. Aesthetic customization is also available, and, while it technically doesn’t have any impact on the game, it’s just as important as the classes themselves if you ask me. Borrowing the same layout as its predecessor EOV, Nexus once again allows players to tweak their characters’ appearances to their liking with a great deal of precision. Featuring four unique portraits for each class plus an additional palette swap for each, the ability to change hair color, eye color, skin tone, and even voice (although this game isn’t dubbed, which is honestly a little upsetting), customization goes way past simply picking out a name. Just be sure to take your time when you’re designing your characters; you’ll be looking at them a lot! The term “fight or flight” feels right at home in a game like this. Much like everything else within Nexus (except for the map, I guess), combat feels comfortingly familiar. Adopting the exact same style as its predecessors, taking your own personal team of five into fight after fight is as satisfying as it is difficult… which is great, because fighting can get really difficult. 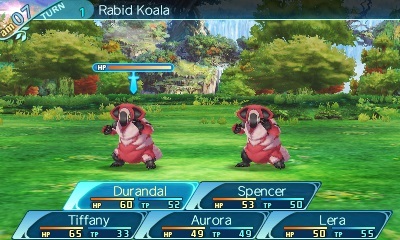 Unlike many turn-based RPGs out there, Etrian Odyssey has never been one to let players mash the attack button over and over, simply steamrolling each and every creature that comes their way. Combat was difficult in the first five Etrian Odyssey games, and it’s no less difficult this time around. Fortunately, “difficult” and “impossible” aren’t the same thing. Thanks to the generous spread of classes available to the player, it becomes exceedingly easy to find a fighting style that fits your own personal tastes, making combat feel less brutal — if only marginally. 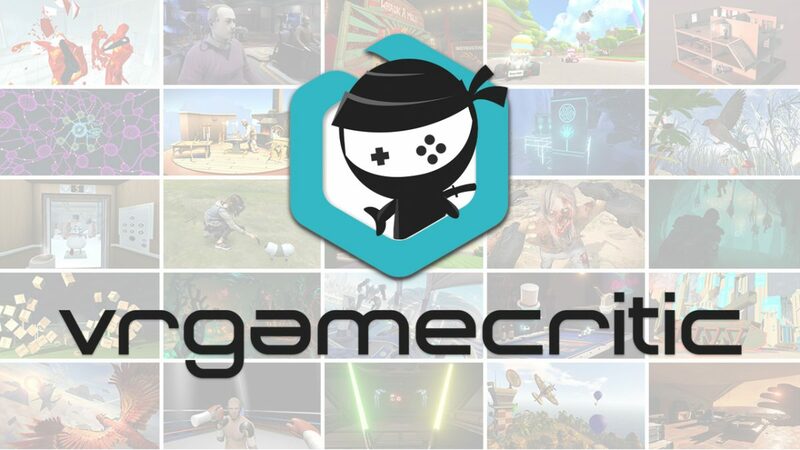 Once again, Nexus ensures that not everything stays the same when it comes to its many skirmishes that players will find themselves running into. Abandoning the team-based skills of the past few installments (such as EOV‘s Union Skills), Nexus once again returns to Force Skill system. By charging their Force gauge to 100%, each character can use a special buff skill specific to their class known as a “Force Boost”. Though varying wildly from class to class, each Force Boost can, if use correctly, be a major game-changer in battle. What’s more, characters can also use a “Force Break” while their Force Boost is active. While Force Breaks are even more powerful than their Boost counterparts, they do come with a drawback — the inability to use Force skills until the player exits the dungeon that they’re currently in. While I was personally more fond of EOV‘s Union mechanic, I’ve come to appreciate the Force mechanic the more that I play it. Force Skills are certainly more situational, but, if you can manage to find the right situation to use them in, then they can all but ensure victory (so long as you continue to play smartly, that is). 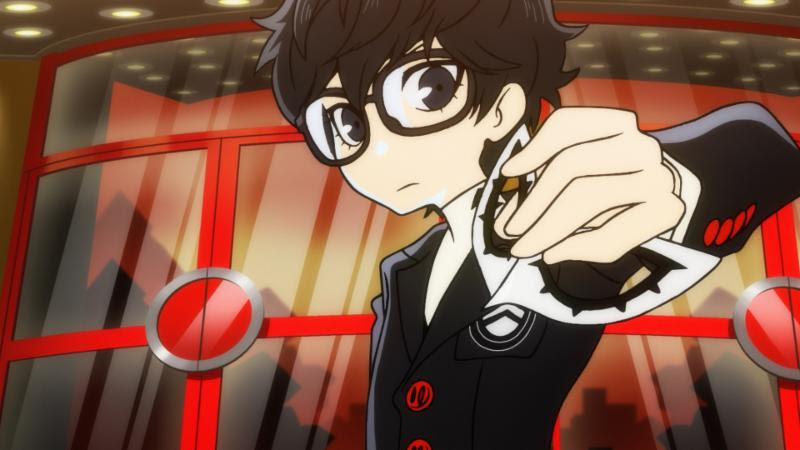 Saying goodbye to a system as great as the 3DS can be a very sad thing for people, like myself, who have built up a lot of great memories with it, but ATLUS has shown that a tearful farewell doesn’t have to be the only way to see the system out. Etrian Odyssey Nexus does an excellent job of celebrating all things Etrian in its own special way, and, while it definitely becomes infinitely more appealing to those who have played through the series, it’s set up in such a way that anyone with a knack for first-person dungeon crawlers can get into it. 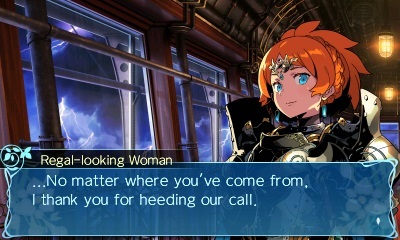 Between its expansive amount of content, deep levels of customization, and tough-as-nails approach to gameplay, Nexus is an excellent way to end the 3DS Etrian Odyssey saga. 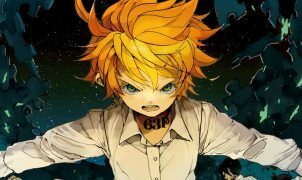 The series has done great things thus far, and I’m confident that it will only climb to greater heights when it re-emerges once more on a different system. 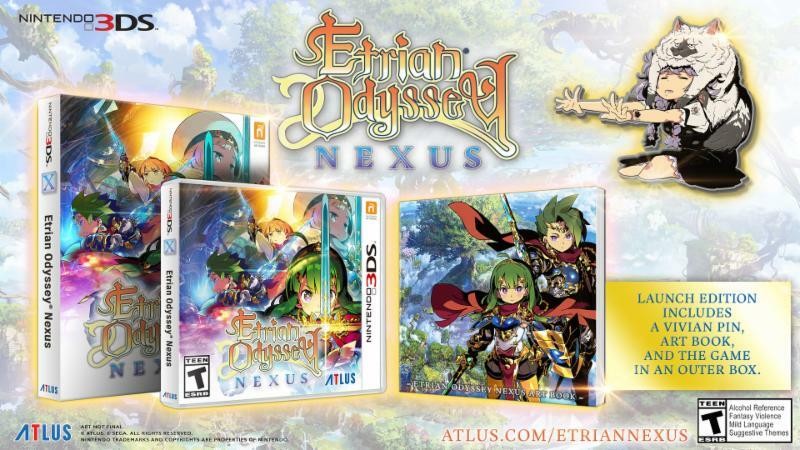 Full disclosure: This review is based on a copy of Etrian Odyssey Nexus given to Hey Poor Player by the developer.